A beautiful necklace made of lava stone beads and a filigree Buddha pendant. 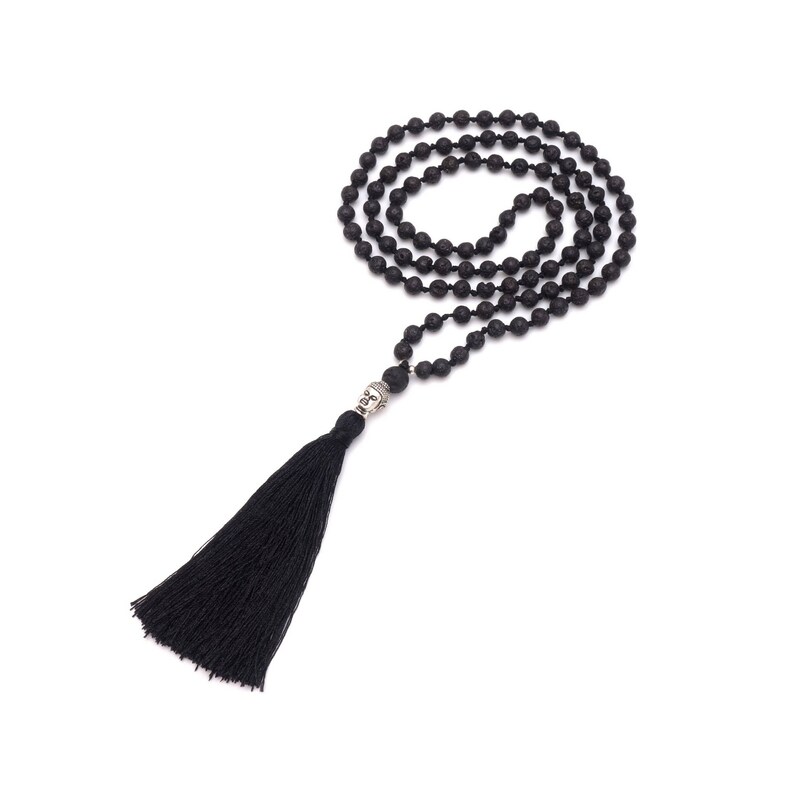 The chain is completed by a color-matched tassel. Each bead is handpicked and knotted individually in filigree manual work. Each chain is a true unique. 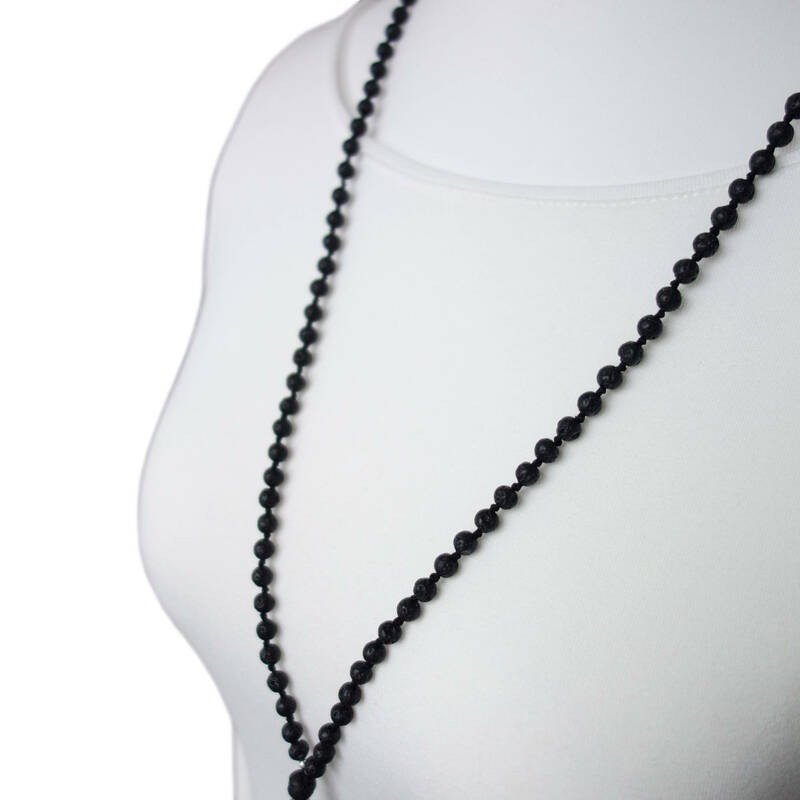 This stylish chain is lovingly packaged and is a great gift.